Bernie Tormé (born Bernard Joseph Tormey; 18 March 1952 – 17 March 2019) was an Irish rock guitarist, singer, songwriter, record label and recording studio owner. Tormé is best known for his work with Gillan, as well as his brief stints with Ozzy Osbourne‘s backing band and Atomic Rooster. Inspired by the likes of Jimi Hendrix, Jeff Beck, Rory Gallagher, and Gary Moore, Tormé formed his first band at a young age. His first paid performance came when Don Harris, a 14-year-old drummer he played alongside when he was 17, secured a gig at the local Girl Guides’ dance in Kilmainham in Dublin. Tormé then played in Dublin band The Urge in the early 1970s before relocating to London in 1974, where he initially played with heavy rockersScrapyard, whose bass player, John McCoy would later be re-united with Tormé in Gillan. Inspired by England’s burgeoning mid-1970s punk rock scene, Tormé formed the Bernie Tormé Band in 1976. With this group, Tormé toured with successful groups of that period such as The Boomtown Rats and Billy Idol‘s Generation X, among many others. Tormé later revealed that his band secured the supporting slot with the Boomtown Rats by agreeing to go around London putting up posters advertising the tour. Frustrated by a lack of commercial success, Tormé accepted the invitation of former Deep Purple vocalist Ian Gillanin 1979 to join his band Gillan. Over the next four years, Gillan enjoyed three Top Ten UK albums (Mr. Universe, Glory Road, and Future Shock), in addition to extensive worldwide tours of Europe, Japan, and the United States. In 1981 Tormé left Gillan, citing frustration over a lack of money despite the success the band was seeing. He was replaced by guitarist Janick Gers. He played as a live session man for Atomic Rooster and was hired in March 1982 by Jet Records to replace the recently deceased Randy Rhoads in Ozzy Osbourne‘s band. Tormé flew from England to Los Angeles with the promise that the job was his, even being paid an advance by Jet before leaving England. Though Osbourne had already settled on Robert Sarzo to replace Rhoads, he was forced to abide by the record company’s decision and Tormé began rehearsing with the band. After only a handful of shows it became apparent that Tormé’s bluesy style was not a good match for Osbourne’s brand of heavy metal, and he elected to return to England to continue work on a solo album. He was quickly replaced by Brad Gillis and the tour continued. 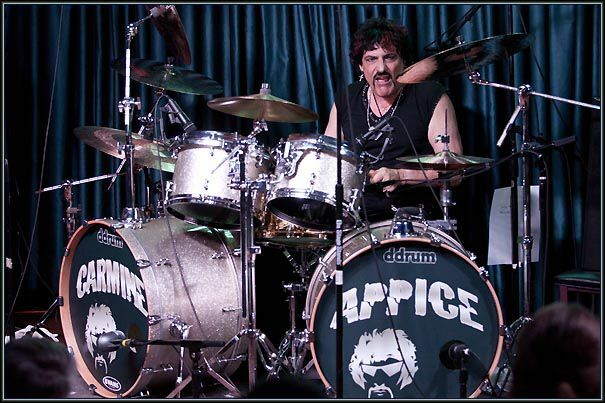 Beginning in 1982 Tormé led his own band under various names and lineups (including a version of Torme with singer Phil Lewis, formerly of Girl and later with LA Guns). Tormé spent several years with the band Desperado with former Twisted Sister singer Dee Snider. Although the record saw limited release, Snider re-used a number of the songs for a subsequent project, Widowmaker (not to be confused with the 1970s English band of the same name). Tormé also played guitar on René Berg‘s solo album, The Leather, The Loneliness And Your Dark Eyes, released in 1992. In addition to the continued release of new Tormé recordings and re-issuance of his back catalogue titles, Tormé also became involved with the ‘Silver’ project, which also included former Michael Schenker Group vocalist Gary Barden. In 2006, Tormé announced the formation of Guy McCoy Tormé (aka “G.M.T”), with former Gillan bassist John McCoyand drummer Robin Guy. 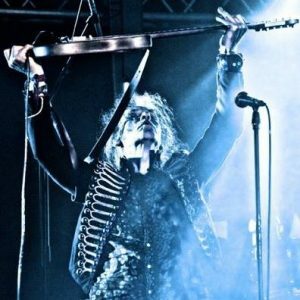 In 2007, Tormé contributed lead guitar and sitar parts to “Smile In Denial”, track #4 of Yoni, a solo album from Wildhearts frontman Ginger. Tormé also ran his own record label, Retrowrek Records, and recording studios, Barnroom Studios in Kent, where he lived with his family. In February 2019, it was reported that Tormé was “extremely ill with virulent double pneumonia”. He died on 17 March 2019, a day before he would have turned 67. ^ “Ten questions with Bernie Tormé“, URL accessed on 24 January 2007. ^ Jump up to:a b “Bernie Tormé interview“, URL accessed on 24 January 2007. ^ Colothan, Scott (14 February 2019). “Bernie Tormé extremely ill with virulent double pneumonia”. Planet Rock. Retrieved 18 March 2019. ^ Blabbermouth (18 March 2019). “Former GILLAN And OZZY OSBOURNE Guitarist BERNIE TORMÉ Dead At 66”. BLABBERMOUTH.NET. ^ Irwin, Corey (18 March 2019). “Bernie Tormé, former Ozzy Osbourne guitarist, Dies”. Ultimate Classic Rock. Retrieved 18 March 2019. ^ Roberts, David (2006). British Hit Singles & Albums (19th ed.). London: Guinness World Records Limited. p. 562. ISBN 1-904994-10-5.